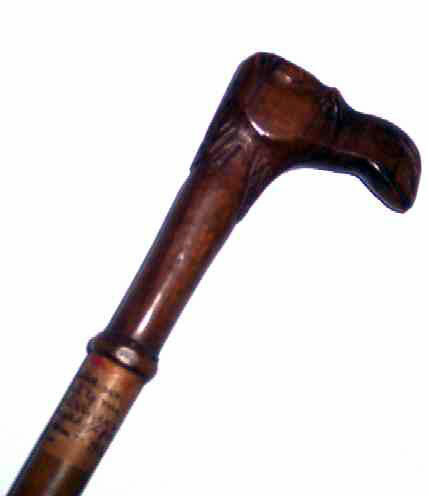 Presented here, a Folk Art Camel Head Cane, carved from a single piece of wood. Overall length is 37-1/4". On the shaft is a paper label with the following: This cane was presented to me by Francis C. Wilcox who brought it from Jeruselem in 1902. W.F. J Boo. . . and here the paper is torn and missing.